That's why we packed the 2016 Net Impact Conference with climate related programming. From workshops and panels to speakers and exhibitors, if you are ready to tackle climate change, NI16 is the place to be! In this energetic session, experts from the Alliance to Save Energy will detail creative approaches and cross-sector collaborations that are elevating renewable energy’s contribution to the energy grid and share what challenges and opportunities lie ahead. In Paris last fall, 195 nations signed a historic agreement to reduce carbon emissions. In this deep dive session, leaders in the private sector, including the Chairman of CO2 Sciences, will share what they're doing in the wake of COP21 and what challenges are ahead. 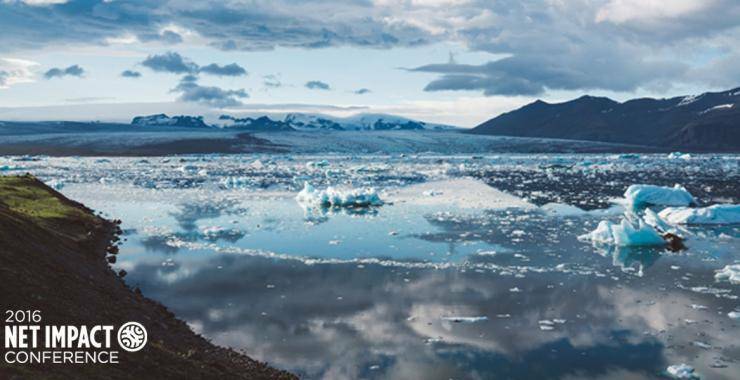 In this interactive workshop, Climate Reality Project and the World Wildlife Fund will help participants develop messaging strategies and powerful pitches to enable leadership to understand the opportunities provided by climate solutions. Jay Coen Gilbert is one of the three co-founders of B Lab, a nonprofit organization that serves a global movement of people using business as a force for good. Its vision is that one day all companies will compete not only to be the best in the world, but the Best for the World, and as a result society will enjoy a more shared and durable prosperity. Environmental Defense Fund’s mission is to preserve the natural systems on which all life depends. They find practical and lasting solutions to the most serious environmental problems. Ready to put your passion for tackling climate change into action? Register now for the 2016 Net Impact Conference. We maintain a strong staff of reporters and guest authors in various locations with an interest in your subject matter. Get in touch with us if you would like to have one of our writers present at your event to cover it and write up big picture ideas that transpire or interview conference speakers and attendees on the air. If we don’t have a contributor in your area we’re happy to work with someone you know.